Lose the wires without compromising audio quality nor upgrading your audio system! Simply pair your Bluetooth enabled device–such as your smart phone, iPad, Android tablet–and connect the BMR3X to your AV receiver, multimedia speakers and more. With our inclusion of the highly renowned apt-X codec, the BMR3X allows you to enjoy wireless Bluetooth audio quality indistinguishable from wired, with an impressive dynamic range. Apart from apt-X, the BMR3X features a high-quality DAC that helps clean up poor audio that is often found in downloaded music and videos. The BMR3X outputs audio though both analogue and digital outputs simultaneously! 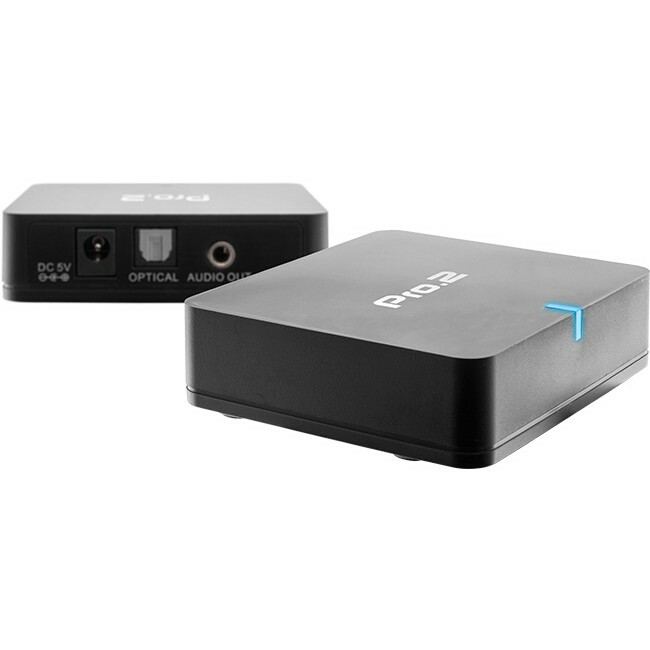 Not only does this make it great for hooking up to your high-end amplifier or receiver using the high quality digital link, but you can also plug in another pair of powered speakers at the same time! 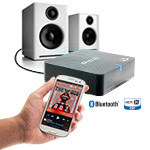 This allows you to listen through either system without the need to connect to another Bluetooth device! A Signal-to-Noise Ratio (SNR) of more than 100dB, in combination with 2Vrms output at maximum volume means the BMR3EX can not only compensate for low volume sources, but gives you a wider range of control from your mobile device without losing audio quality or increased background hiss you get from other devices on the market! Basically keep the volume on your amp or speakers low for reduced noise, and control the audio level directly from your phone or tablet—perfect for audiophiles! only 70ms instead of the 180ms of other devices on the market! Plenty of headroom for volume levels! Please note: Your source device must also have the apt-X codec. Please check your device user manual and specifications to be sure. If your device does not have apt-X, the BMR3X will still work, utilising the SBC codec. 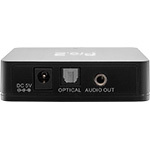 Dual Output: Optical out for the highest quality digital connection to an AV receiver, or use the 3.5mm connection for any AUX enabled device. Lose the wires without compromising on audio quality! 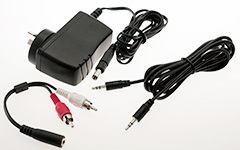 Includes power supply, 3.5mm stereo lead, and 3.5mm to 2x RCA stereo lead.